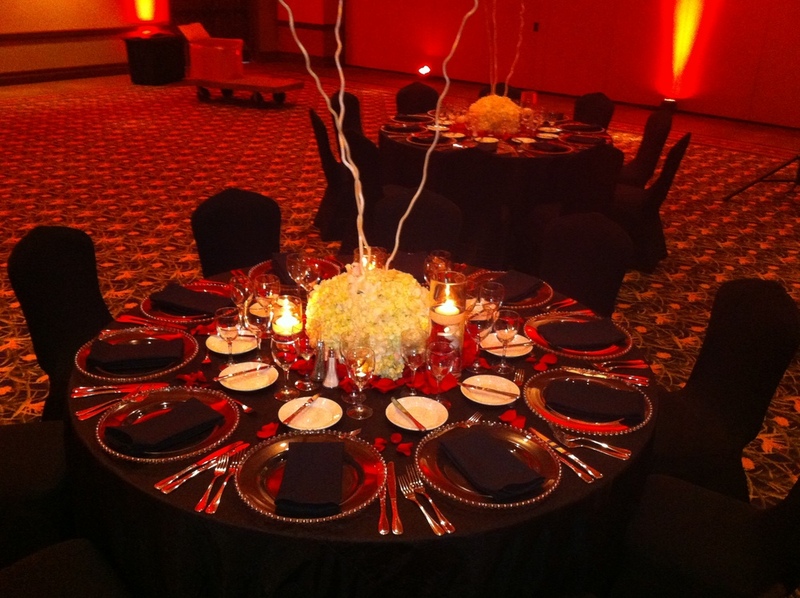 Our 132" White/black scroll specialty linen is a elegant designed linen that will surely make that lasting impression. comes in 5 different color variations. Our Satin 90x90 overlays. A beautiful look for that special occasion. Uplights can make an area even more beautiful. Here you see our lavender uplight with lavender decorations.